Jose Mourinho’s Man United kept up their impressive start to the season this afternoon, as the Red Devils put four past a decent Everton side to go joint top of the Premier League with rivals Manchester City. The Red Devils opened the scoring in the third minute, after a cross-field pass from Nemanja Matic found its way to United captain Antonio Valencia, who fired an absolute thunderbolt past Toffees ‘keeper Jordan Pickford to put give the home side the perfect start to the match. United then had to wait until the 83rd minute to find their second goal, as Belgian forward Romelu Lukaku played in Armenian international Henrikh Mkhitaryan, who slotted the ball calmly into the corner to all but seal the win for Mourinho’s side. 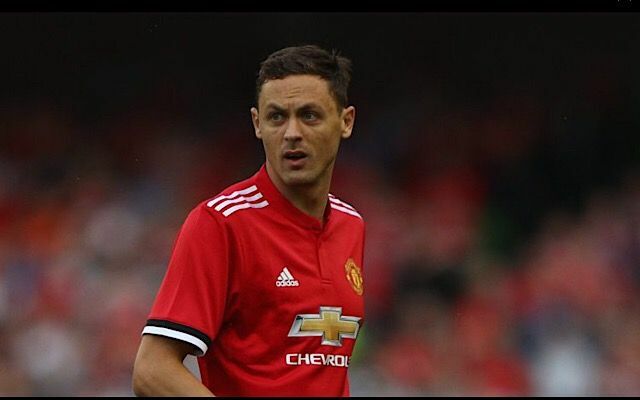 Lukaku then found a goal of his own six minutes later, as a blocked free kick from the forward found its way to Matic, whose shot took a deflection before kindly falling into the path of the Belgian, who applied to finishing touch to secure the three points for the Manchester-based side. Substitute Anthony Martial then piled more misery on the away side in added time, after the Frenchman won a penalty from former United man Morgan Schneiderlin for handball, with the winger then converting the spot-kick to give the home side their third 4-0 win of the season. Lukaku had a chance to open his account for the match midway through the first half, as the Belgian forward was played through by Juan Mata before turning past Toffees defender Ashley Williams, however the 24-year-old saw his left-footed effort go just wide. United legend Wayne Rooney had a chance to level for the away side early in the second half, after midfielder Tom Davies cut the ball back to Rooney, who then saw his effort well blocked by United goalkeeper David De Gea to keep the score at 1-0. For United, their performance may give boss Mourinho a bit of cause for concern despite the hefty scoreline, as the home side didn’t look at their best today despite coming out on top. For Everton, the defeat will be seen as harsh, as the Toffees put in a very good shift today and looked the better team for the majority of the second half.